70568 Adamsville Road Edwardsburg, MI. | MLS# 18022830 | Waterfront, Residential and Vacant Land Properties for Sale in Cass County, including Cassopolis, Edwardsburg, Union, Dowagiac, Marcellus and More! 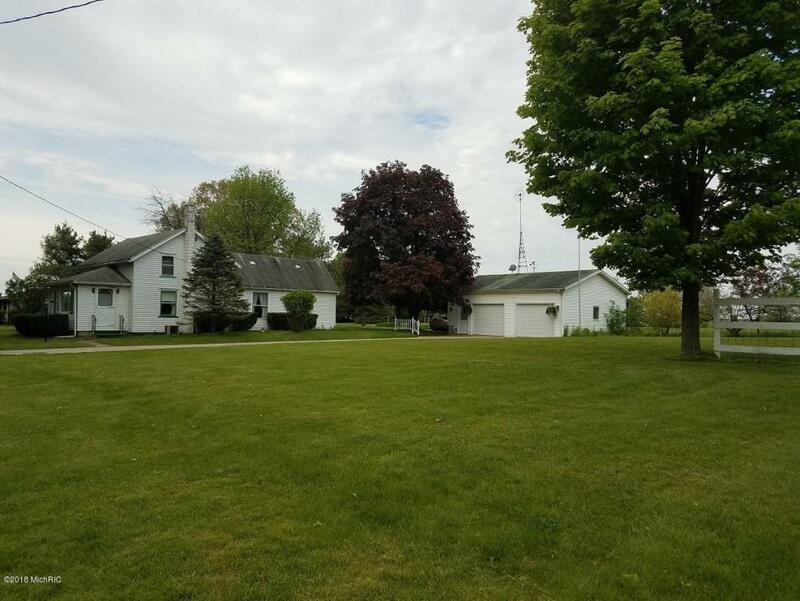 Edwardsburg farmhouse sits on 4 acres in an excellent location near the state line. Nice flow through the efficient kitchen and dining area to the expansive living room, with adjacent bath and bedroom. Spacious landing can serve as another bedroom upstairs, for 3 possible. Both upper rooms have closets and/or built-ins and gravity heat. Large full basement with mechanicals grouped together offers options. A Bilco door leads to the outside. Some windows have been replaced. Detached garage is clean and light; its building permit is still on the wall! The 639 ft. deep lot is level and ready for your plans. Loved and lived in for many years by the same family, this is a great prospect for rehab or for just living a simpler life. Being sold ''as is.'' Exempt from disclosure.